Everything On Wheels by Jeffrey Victor. Big Pictures and Little Stories about Trucks, Trains, Wagons, Autos and Lots of Others. New York. Will Roberts. 1950. First Edition. Spiral bound. Very Good. Edgewear. Previous owner's name. Metal spirals has some wear. Illustrated by John English. Board book with moving wheels. Color Illustrations. Unpaginated pages. 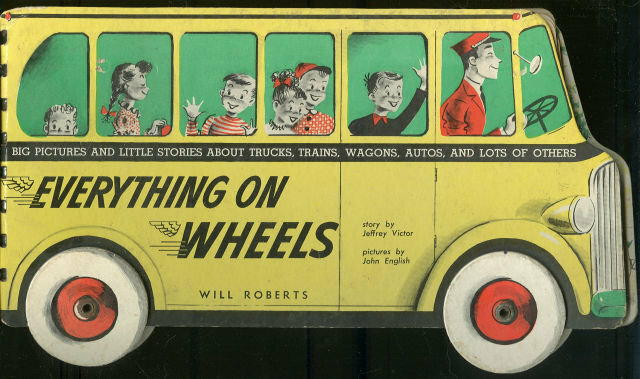 Items Similar To "Everything On Wheels by Jeffrey Victor 1950 1st edition"